Register now To be Trained to the Woods-Service. 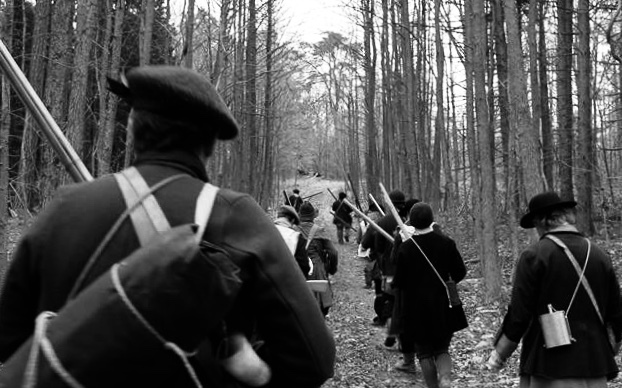 Registered participants in the immersive event will be trained in the mid century Partisan Methods of Marching, Retreating, Ambushing & Fighting, billeted in the barracks & issued rations. Participants will also receive a 2019 Friends of Fort Frederick membership and be enrolled in the pre-event Participant Forum, dedicated to the source material documenting the tactics, skills & material culture of 18th C ranging. The military science & fieldcraft curriculum is formatted to assist incorporating these practices into participant portrayals, while the material culture subjects are examined by article, emphasizing documentation and current best practices. New for 2019: A dedicated opposition force, reconnoitering parties & skirmishes incorporating specific tactical & fieldcraft objectives, and a limited number of “Half-Pay” slots for intereseted individuals unable to attend. Half-Pay participant supporters will recieve 2019 FOFF membership, full access to the online Participant Forun, and a Prize Raffle ticket. Click Here for event details & schedule. For Prize Raffle info click here.